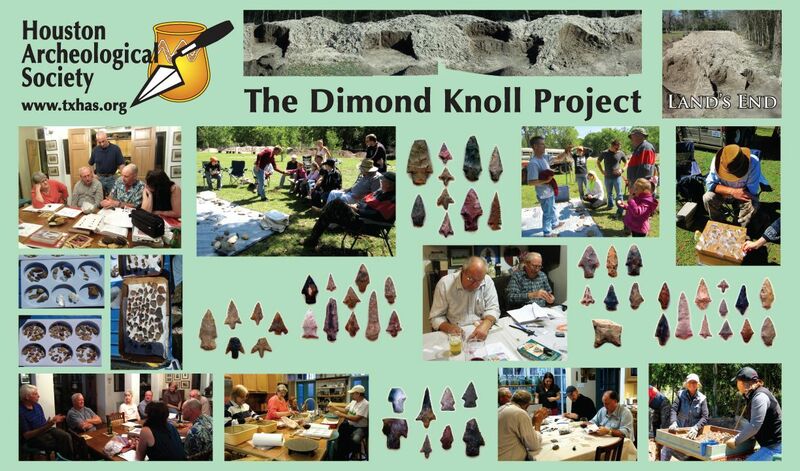 Our Dimond Knoll Screening Team including Dr. Jason Barrett, TxDOT, Dr. Roger Moore, Moore Archeological Consulting, Inc., Rich Weinstein, Coastal Environments. 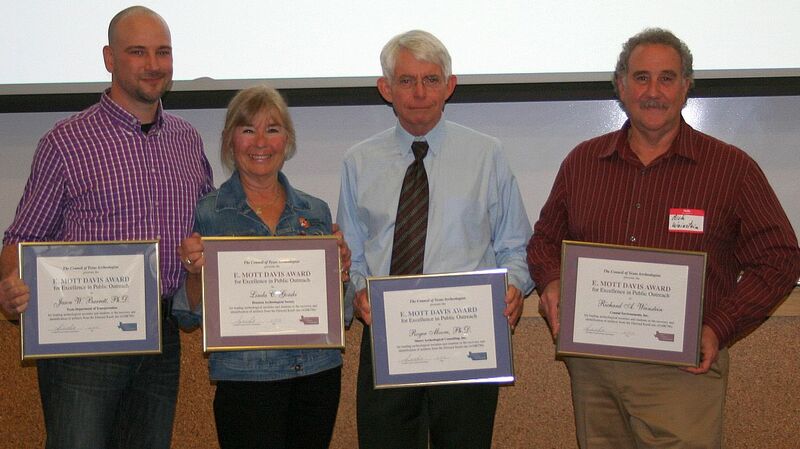 Inc. and the Houston Archeological Society received the coveted E. Mott Davis Award for Excellence in Public Outreach for an archeological project at the spring meeting of the Council of Texas Archeologists on Friday, 21st March, 2014, in Austin. It was a great day. I was so proud to receive the award on behalf of YOU - members of the HAS and all the other folks who worked with us on the screening project. As most of you know, we kicked this project off on 2nd February, 2013 and we finished it on 20th January, 2014. We screened 55 dump truck loads of dirt, recovered an incredible number of diagnostic artifacts, and added a substantial amount of archeological data to what had already been excavated at 41HR796, thus helping archeologists to achieve a more accurate understanding of prehistoric lifeways in the Houston area. Way to go team!!!! !